The AmazonSmile Foundation is a 501(c)(3) private foundation created by Amazon to administer the AmazonSmile program. Amazon pays all expenses of the AmazonSmile Foundation; they are not deducted from the donation amounts generated by purchases on AmazonSmile. The link below will take you directly to smile.amazon.com in support of your AJF, so you won’t have to search for AJF among almost a million other organizations. You can support the Teddy Bear Program with the Randall's Rewards program. Check out our Teddy Bear Program page for more information about how to support this great cause. Help Austin Junior Forum with free donations whenever you shop online. Right now, iGive is giving out bonus donations! 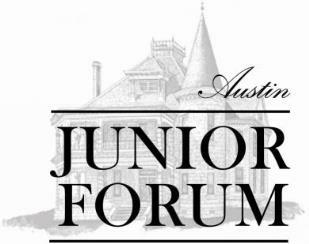 New members who join and shop by 3/3/17 earn an extra $5 donation to Austin Junior Forum. The stores make this possible because they want you to like them and shop at them over and over again. There's over 1,000 socially-responsible stores helping to make donations happen.